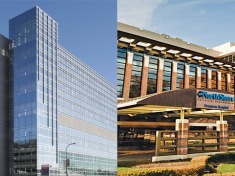 The merger of Advocate Health and NorthShore University HealthSystem will become the largest healthcare system in Illinois, composed of 16 hospitals with an estimated $6.5 billion in revenue. According to NorthShore University’s recent press release, the goal of the merger is to improve access to healthcare and lower costs from providers. With approximately 3 million patients, the newly formed Advocate NorthShore Health Partners would have enormous sway over insurers and the prices and policies that are offered. Furthermore, a network of 6,000 physicians and 45,000 employees will be employed under the new healthcare giant, raising the question of job cuts to avoid the possibility of duplicate jobs. While the merger is being approved and finalized, Advocate NorthShore Health Partners will be ran by co-CEOs at present. Will a merger of this size have any impacts on physicians and hospital staff? Will sway over insurers move some healthcare giants to adopt their own insurance entities, and how will this impact their hospital staff?